Blur Imperfections & Get the Glow! New Tinted Gradual Tinted Primer! 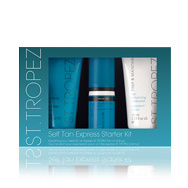 Discover a natural-looking, streak-free tan for every skin tone with St. Tropez Self Tan! The Self Tan range develops into a gorgeous golden tan in 4-8 hours and lasts up to 7 days. Developed with Aromaguard™ Technology, the range eliminates that tell-tale aroma of self-tan. Build a subtle, natural-looking glow day by day with Gradual Tan. Ideal for paler skin tones or first-time tanners, the Gradual Tan range develops into a streak-free, wearable tan allowing you to build the colour depth everyday. An instant, wash-off, 24-hour tan! Ideal for first-time tanners or for those who want an instant colour without commitment of long-wear finish! Prolong your self-tan or natural tan finish with Prep & Maintain! A range of polishes, moisturisers and tan boosters help to extend the streak-free finish for healthy, long-lasting glow. View all St. Tropez in one place. Not sure what you are looking for? Simply select product type. Recognised as the No.1 tanning brand for professionals, celebrities and beauty editors alike, the award-winning range delivers a tan for every skin tone, from a light sunkissed glow to a deep, dark bronze. Their Express Advanced Bronzing Mousse allows you to ‘control your own tan’ by the amount of time you leave before washing off. They also offer a unique product – their In-Shower Tan – this product is designed to put on in the shower, leave for 3 minutes and then wash off. The thick formula doesn’t move, and it washes off easily too. This product has been tried and tested for streaks and passed! St. Tropez has also kept in mind faces. With their Self Tan Luxe Facial Oil you can now achieve a subtle, healthy looking glow! 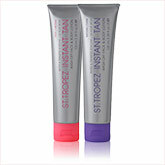 For this who don’t want an instant tan, the St. Tropez gradual tanner may be more fitting! These products enable you to control your tan through a gradual build up, with a range of colourings it is possible to look sunkissed, or a deeper bronze. 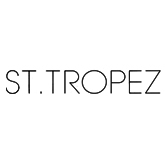 With their truly radical formulation, St. Tropez has since become the iconic self-tanning brand of its generation, and with a continual line of innovative products designed to deliver exactly the tan you want with a wealth of skin benefits, too, the future is looking golden. 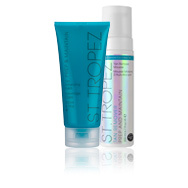 St. Tropez Gradual Tan Classic Lotion – Medium to Dark – this nourishing body moisturiser gives you a gorgeous sun kissed glow, whilst providing a number of skin benefits. Enriched in Vitamin E this gradual tanner keeps skin smooth and supple. St. Tropez Self Tan Luxe Dry Oil – this self tanner leaves the skin feeling nourished as well as creating a healthy looking glow! The dry oil gives 7 hours of hydration, is quick drying and non-greasy, streak-free and lasts up to 10 days.